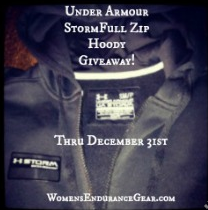 2013 Plans and a New Under Armour Hoody Giveaway Winner! 2013 is going to be a big year for me, especially the fall. I'm turning the big 4-0 in September and Kovas and I will be married 15 years this October!! In celebration of these huge events, Kovas and I will be running the Chicago Marathon - which will be my first (kind of cool coincidence - the Chicago Marathon was Kovas' first many years ago). We'll make a weekend of it of course and actually celebrate our anniversary. Before the fall I would like to run 2 half marathons - maybe one late spring and another early fall. 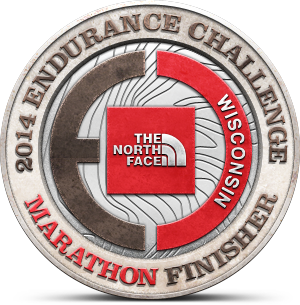 I really enjoyed the North Face Endurance Challenge half marathon in Madison so that is definitely one I will look into. 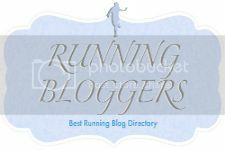 M. Louise Cunningham of runnersramblings.com! Please email me your mailing address and size at Laima@womensendurancegear.com. Congratulations!! Any racing plans for the year? 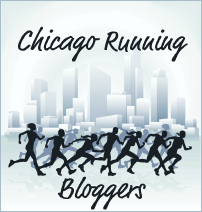 That IS a neat coincidence that Chicago will be the first marathon we each ran. It'll be interesting to train and race this year with that as a common goal! How fun to train and race together. Excited for your first marathon experience! I am just getting my racing schedule all put together, but I'm pretty excited about it. First up--a March 16 marathon! Happy New Year and a Giveaway Winner!